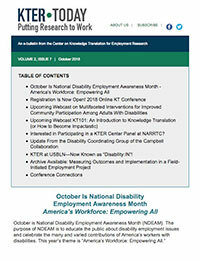 This quarterly E-newsletter highlights upcoming events, valuable resources, and other important information relating to the KTER Center and our partners. To subscribe, please enter your email below. July 2017: Research Briefs Hot off the Press! On-Demand Webcast Now Available!